Remove dough from cans; cut each loaf in half crosswise. Let dough stand at room temperature 10 minutes to soften. 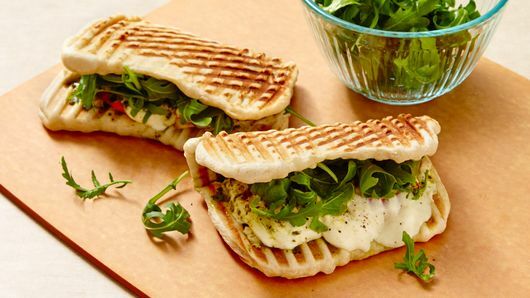 Heat panini maker or contact grill 5 minutes. Lightly sprinkle work surface with flour. On work surface, roll or press each piece of dough into 7x6-inch rectangle. Brush top side of each rectangle with 1 teaspoon of the oil. 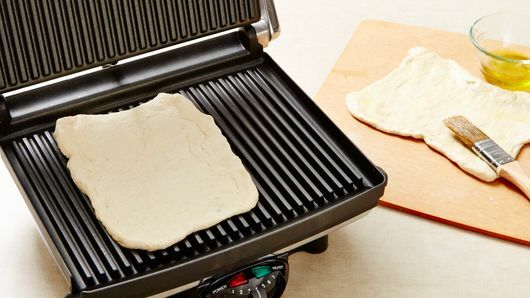 Place 1 piece oil side down on panini maker, stretching dough to fit. Close panini maker. Cook 1 to 2 minutes or until light golden brown. Repeat with remaining rectangles. Place rectangles, oil sides down, on clean work surface. Spread 1 tablespoon pesto over top of each rectangle. Top one lengthwise half of each rectangle with 1/2 cup chicken, 2 tomato slices and 3 slices cheese. Sprinkle with pinch of pepper. Fold in half to form sandwich. 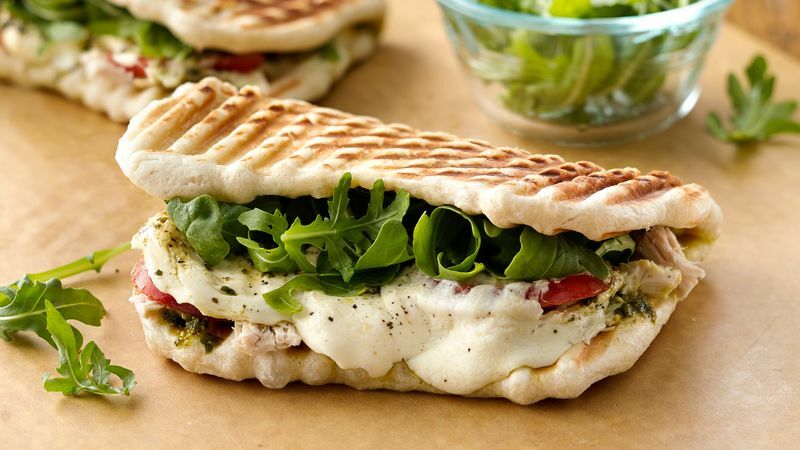 Place 1 to 2 sandwiches on panini maker; close panini maker. Cook 3 to 4 minutes or until golden brown and cheese is melted. 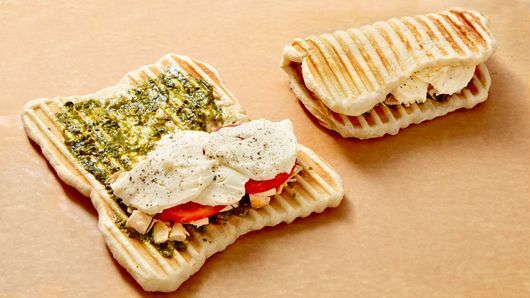 To serve, unfold each sandwich. Layer 1/2 cup arugula over filling; close sandwich. Serve warm.